Hotel Aitana Oaxaca offers its services in a restored historic building from the XVII century, surrounded by a typical inner courtyard with columns and fountains made of green stone, a typical element of the region. Among downtown hotels in Oaxaca, we distinguish ourselves for our warmth, personalized attention and cosmopolitan ambience, being an ideal option for the traveler that avoids big and impersonal hotels and prefers feeling at home. 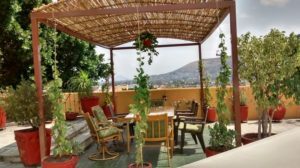 At Hotel Aitana Oaxaca we have 23 rooms beautifully decorated using warm colors and elegant colonial furnishings, equipped with all the necessary amenities, television, coffee machine, Wi-Fi, full bathroom with tub and more services. 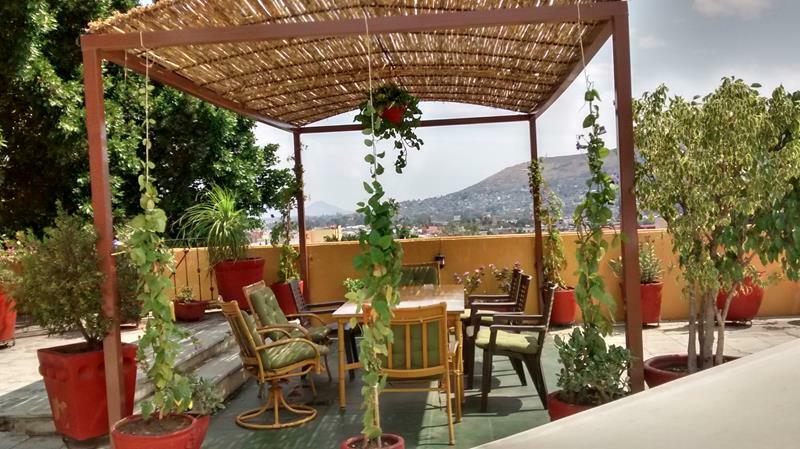 From the terrace of the hotel you can enjoy a stunning panoramic view of the beautiful city of Oaxaca, the valley surrounded by the mountains of the Sierra Madre. Besides, during your stay at Hotel Aitana you’ll have our restaurant services, Wi-Fi, safe box in the reception area and laundry service within your reach, among others.